Sometimes change is hard. In the coming and in the going, in the known and in the unknown. Sometimes change is just hard. How is it that some days I awaken so full of excitement and anticipation and others I am overwhelmed, emotional and scared? How does my mind determine in which direction it will carry me that day? Some mornings seem filled with the promise, hope and joy of new adventure, yet others find the heaviness of leaving a little harder to bear. Where is the compass pointing today? Life is full of hellos and goodbyes. It is full of beginnings and endings. We travel down the path immune to those things most days. The journey, the route so familiar and comfortable to us. 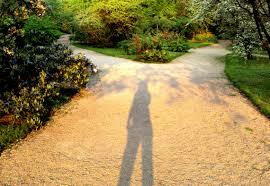 But sometimes we arrive at a crossroads that remind us of their existence. I find myself caught some days in the struggle between roots and wings. An emotional dance I do with myself. Who I am here. The people I love & who love me in return. The life I know, the community of which I am a part. And then I ask who will I be? Who will become a part of that family of friends? What will be my role in my new community, where will I fit and what will I ultimately choose to do with this new chapter of my life? The minutia that comes with such change can be overwhelming. If it is true that life is indeed in the details, then we are immersed in them. Schools, doctors, housing all a part of the existence of a family. All once new, now so familiar, trusted perhaps and even if they are not, they are who & what we know. Each phone call, email and bit of research touched with the angst of starting over. Building a life there while still living here. I have shared before one of my favorite quotes. All the art of living is a fine mingling of letting go and holding on (Havelock Ellis). In just a little over four months, we leave this place, our home in Roswell, Georgia. And we begin a new chapter in Boulder, Colorado. Change is hard, it simply is. I’ve come to accept that. It is hard to let go, and it is hard to hold on. So perhaps each day is a little bit of both. Prying a finger loose to reach forward while cherishing the roots from which I get to do that. Looking back at when this place was once the new & unknown. And trusting that the ebb and flow of human emotion can not always be named, understood or explained. Some days we are simply meant to feel what they bring. So some days this move will fill me with excitement. Some days it will be steeped in angst. Some days I’ll cry for the friends I leave. And others I’ll be joyful for the new relationships that will touch my life. Some days I’ll get caught up in the details. Some days I’ll simply relish the beautiful and broad landscape that lies ahead. Some days I’ll count the days until we go & others I’ll ask the universe to slow down just a bit so I can relish the time we still have here. Some days I’ll cry, just because I need to. Some days I’ll smile, just because I want to. And some days, when I grapple with holding on and letting go. I will simply take a deep breath, close my eyes and allow myself to experience it all and to feel every emotion that comes with this change. Because they are all a part of my story, they are all a part of me. And they all hold within them, on any given day, my truths. And I must always find a way to honor them.